There are some strange results being announced in the physics world lately. A fluid with a negative effective mass, and the discovery of five new particles, are all challenging our understanding of the universe. New results from ALICE (A Large Ion Collider Experiment) are adding to the strangeness. ALICE is a detector on the Large Hadron Collider (LHC). It’s one of seven detectors, and ALICE’s role is to “study the physics of strongly interacting matter at extreme energy densities, where a phase of matter called quark-gluon plasma forms,” according to the CERN website. Quark-gluon plasma is a state of matter that existed only a few millionths of a second after the Big Bang. 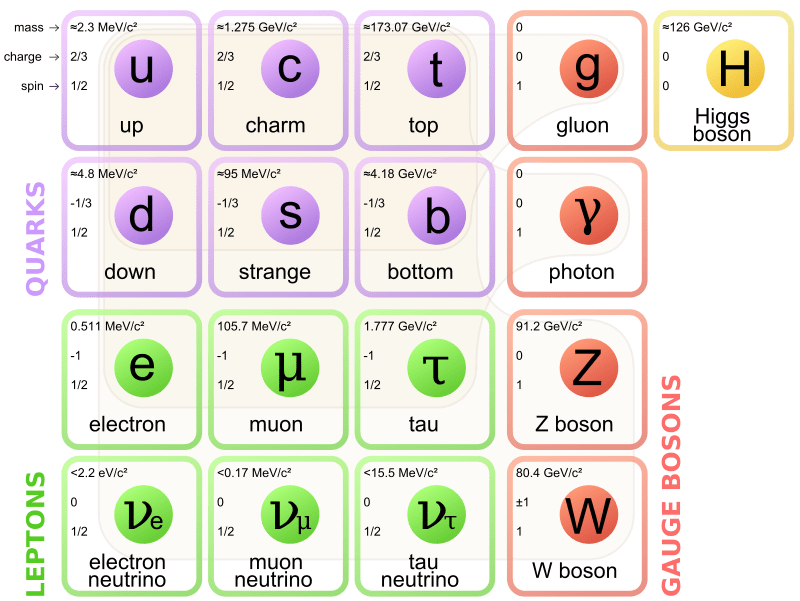 In what we might call normal matter—that is the familiar atoms that we all learn about in high school—protons and neutrons are made up of quarks. Those quarks are held together by other particles called gluons. (“Glue-ons,” get it?) In a state known as confinement, these quarks and gluons are permanently bound together. In fact, quarks have never been observed in isolation. The LHC is used to collide particles together at extremely high speeds, creating temperatures that can be 100,000 times hotter than the center of our Sun. In new results just released from CERN, lead ions were collided, and the resulting extreme conditions come close to replicating the state of the Universe those few millionths of a second after the Big Bang. In those extreme temperatures, the state of confinement was broken, and the quarks and gluons were released, and formed quark-gluon plasma. If all of this seems a little murky, here’s the dinger: Strange hadrons may be well-known particles, because they’ve been observed in collisions between heavy nuclei. But they haven’t been observed in collisions between protons. “Being able to isolate the quark-gluon-plasma-like phenomena in a smaller and simpler system…opens up an entirely new dimension for the study of the properties of the fundamental state that our universe emerged from.” – Federico Antinori, Spokesperson of the ALICE collaboration. The creation of quark-gluon plasma at CERN provides physicists an opportunity to study the strong interaction. The strong interaction is also known as the strong force, one of the four fundamental forces in the Universe, and the one that binds quarks into protons and neutrons. It’s also an opportunity to study something else: the increased production of strange hadrons. Enhanced strangeness production from quark-gluon plasma was predicted in the 1980s, and was observed in the 1990s at CERN’s Super Proton Synchrotron. The ALICE experiment at the LHC is giving physicists their best opportunity yet to study how proton-proton collisions can have enhanced strangeness production in the same way that heavy ion collisions can. In so doing, they have gained a better understanding of light’s mechanics and the important role it plays in physics, astronomy and cosmology. Put simply, light moves at incredible speeds and is the fastest moving thing in the Universe. Its speed is considered a constant and an unbreakable barrier, and is used as a means of measuring distance. But just how fast does it travel? Light travels at a constant speed of 1,079,252,848.8 (1.07 billion) km per hour. That works out to 299,792,458 m/s, or about 670,616,629 mph (miles per hour). To put that in perspective, if you could travel at the speed of light, you would be able to circumnavigate the globe approximately seven and a half times in one second. Meanwhile, a person flying at an average speed of about 800 km/h (500 mph), would take over 50 hours to circle the planet just once. Little wonder then why the speed of light is the metric used to determine astronomical distances. When we say a star like Proxima Centauri is 4.25 light years away, we are saying that it would take – traveling at a constant speed of 1.07 billion km per hour (670,616,629 mph) – about 4 years and 3 months to get there. 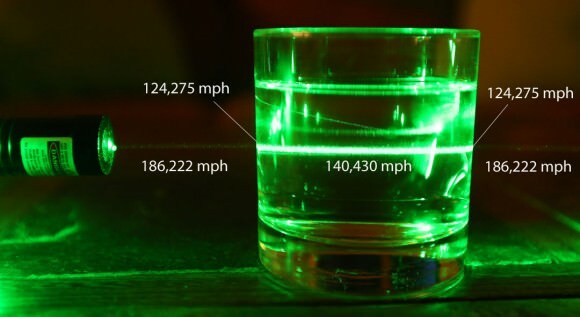 But just how did we arrive at this highly specific measurement for “light-speed”? Until the 17th century, scholars were unsure whether light traveled at a finite speed or instantaneously. From the days of the ancient Greeks to medieval Islamic scholars and scientists of the early modern period, the debate went back and forth. It was not until the work of Danish astronomer Øle Rømer (1644-1710) that the first quantitative measurement was made. In 1676, Rømer observed that the periods of Jupiter’s innermost moon Io appeared to be shorter when the Earth was approaching Jupiter than when it was receding from it. From this, he concluded that light travels at a finite speed, and estimated that it takes about 22 minutes to cross the diameter of Earth’s orbit. 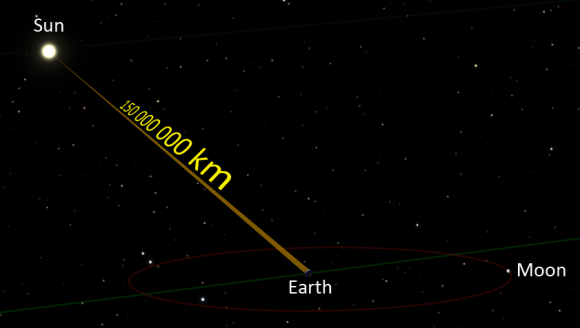 Christiaan Huygens used this estimate and combined it with an estimate of the diameter of the Earth’s orbit to obtain an estimate of 220,000 km/s. Isaac Newton also spoke about Rømer’s calculations in his seminal work Opticks (1706). Adjusting for the distance between the Earth and the Sun, he calculated that it would take light seven or eight minutes to travel from one to the other. In both cases, they were off by a relatively small margin. Later measurements made by French physicists Hippolyte Fizeau (1819 – 1896) and Léon Foucault (1819 – 1868) refined these measurements further – resulting in a value of 315,000 km/s (192,625 mi/s). And by the latter half of the 19th century, scientists became aware of the connection between light and electromagnetism. 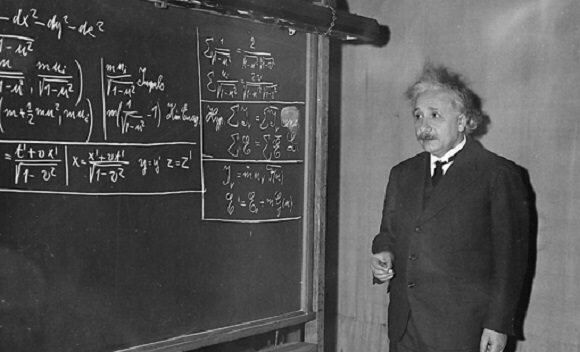 The next great breakthrough came during the early 20th century/ In his 1905 paper, titled “On the Electrodynamics of Moving Bodies”, Albert Einstein asserted that the speed of light in a vacuum, measured by a non-accelerating observer, is the same in all inertial reference frames and independent of the motion of the source or observer. Using this and Galileo’s principle of relativity as a basis, Einstein derived the Theory of Special Relativity, in which the speed of light in vacuum (c) was a fundamental constant. Prior to this, the working consensus among scientists held that space was filled with a “luminiferous aether” that was responsible for its propagation – i.e. that light traveling through a moving medium would be dragged along by the medium. This in turn meant that the measured speed of the light would be a simple sum of its speed through the medium plus the speed of that medium. However, Einstein’s theory effectively made the concept of the stationary aether useless and revolutionized the concepts of space and time. Einstein’s theory that the speed of light in vacuum is independent of the motion of the source and the inertial reference frame of the observer has since been consistently confirmed by many experiments. It also sets an upper limit on the speeds at which all massless particles and waves (which includes light) can travel in a vacuum. One of the outgrowths of this is that cosmologists now treat space and time as a single, unified structure known as spacetime – in which the speed of light can be used to define values for both (i.e. “lightyears”, “light minutes”, and “light seconds”). The measurement of the speed of light has also become a major factor when determining the rate of cosmic expansion. Beginning in the 1920’s with observations of Lemaitre and Hubble, scientists and astronomers became aware that the Universe is expanding from a point of origin. Hubble also observed that the farther away a galaxy is, the faster it appears to be moving. In what is now referred to as the Hubble Parameter, the speed at which the Universe is expanding is calculated to 68 km/s per megaparsec. This phenomena, which has been theorized to mean that some galaxies could actually be moving faster than the speed of light, may place a limit on what is observable in our Universe. Essentially, galaxies traveling faster than the speed of light would cross a “cosmological event horizon”, where they are no longer visible to us. Also, by the 1990’s, redshift measurements of distant galaxies showed that the expansion of the Universe has been accelerating for the past few billion years. This has led to theories like “Dark Energy“, where an unseen force is driving the expansion of space itself instead of objects moving through it (thus not placing constraints on the speed of light or violating relativity). Perhaps, someday, we will find a way to exceed the speed of light. While we have no practical ideas for how this might happen, the smart money seems to be on technologies that will allow us to circumvent the laws of spacetime, either by creating warp bubbles (aka. the Alcubierre Warp Drive), or tunneling through it (aka. wormholes). We have written many articles about the speed of light for Universe Today. 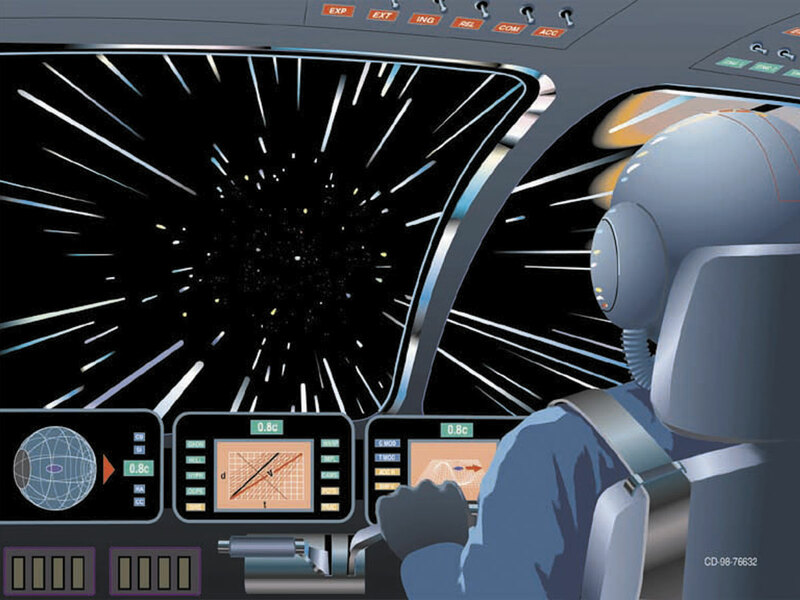 Here’s How Fast is the Speed of Light?, How are Galaxies Moving Away Faster than Light?, How Can Space Travel Faster than the Speed of Light?, and Breaking the Speed of Light. Here’s a cool calculator that lets you convert many different units for the speed of light, and here’s a relativity calculator, in case you wanted to travel nearly the speed of light. Astronomy Cast also has an episode that addresses questions about the speed of light – Questions Show: Relativity, Relativity, and more Relativity. NASA – What is the Speed of Light? Last week we talked about knowledge, what we do and don’t know. This week we talk about questions which are impossible to ask, where the answers don’t actually exist. There the things we know, the things we don’t know, and the things we can’t know. How do we know which one is when when we’re deciding to fund research and direct our scientific inquiry. Did scientists find a giant alien structure around KIC 8462852? 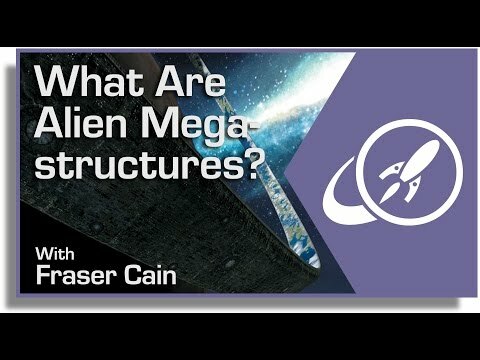 Probably not, but if they did, what would these structures look like?